Researchers from the University of Illinois at Chicago are the first to conduct a large-scale analysis of treatments and outcomes for children with Stevens-Johnson syndrome (SJS) and toxic epidermal necrolysis (TEN), rare skin conditions caused by medications and infections. Children who experience SJS, or its more severe form TEN, develop flu-like symptoms and a painful rash that spreads and blisters. Moderate or severe cases typically require treatment in an intensive care or burn unit. Their findings, which are published in the Journal of Allergy and Clinical Immunology: In Practice, show that in contrast to adults, death and recurrence are rare in children, but children who experience these skin conditions have high rates of complications — resulting in long and costly hospital stays — and that treatment strategies varied among health care providers. Study author Dr. James Antoon says that although SJS and TEN are rare, they are potentially devastating and deadly, and most pediatricians will encounter cases over the course of their career. 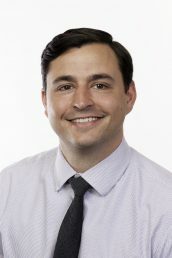 To fill this gap, Antoon and his colleagues performed a retrospective analysis of data from the Pediatric Health Information System to describe a cohort of hospitalized children diagnosed with SJS or TEN between 2008 and 2015. Nearly 900 patients, with a mean age of 10, were included in the final analysis, which included a review of treatments, cost of hospital care, length of hospital stay, mortality, recurrence, hospital readmission and complications related to SJS or TEN, in addition to demographic information like age, race, gender, insurance type and geographic location. They found overall mortality to be low — only 0.56 percent of children died from SJS or TEN, compared with up to 23 percent of adults, as reported in other studies — but nearly one in four pediatric patients was admitted to an intensive care unit. The median length of stay was eight days and readmissions were common, with nearly one in five patients being admitted back to the hospital within six months. Cost of care ranged from about $7,000 to $34,000, with a median cost of adjusted hospital charges of about $16,000 per patient. The study results, he says, also provide valuable information clinicians can use to guide treatment decisions. When treatments were compared, the researchers found that outcomes were similar across all interventions despite some, like antibody treatments, being significantly more costly. The most common treatment was intravenous immunoglobulin (IVIG) in 25 percent of patients, followed by steroids in 18 percent, and a combination of both IVIG and steroids in 17 percent of children. “Yet, there was little difference in outcomes such as mortality, length of hospital stay, or need for life support across treatments,” Antoon said. The treatments, the researchers found, varied by geography. Patients receiving care in the Middle Atlantic and East North Central geographic regions were more likely to receive more expensive combination therapies (26 percent and 24 percent, respectively), compared with patients in the West North Central (only 8 percent) region. Co-authors on the paper are Jennifer Goldman and Brian Lee of Children’s Mercy Hospital and Clinic in Kansas City, Missouri, and Samir Shah of Cincinnati Children’s Hospital Medical Center. Goldman’s work was supported in part by a grant (KL2TR000119) from the National Center for Advancing Translational Sciences, part of the National Institutes of Health.